We are a team of professionals from different sectors with three passions in common: culture, travel and communication. Our passion for travel has led us to consult hundreds of guides, thousands of publications and millions of opinions of all kinds. In this work we have used as many hours as successes and disappointments when visiting the places. The amount of information available online is of such magnitude that it is for the traveler a challenge choosing which places to visit. It is for this reason that we created QuiQue Alien, a reliable and easy guide that selects for you the most interesting places. 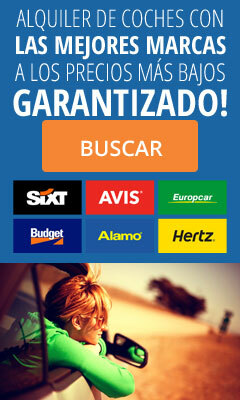 Thus it saves the traveler the search and selection process, while gaining valuable information for planning your trip. QuiQue Alien is the character who represents us, just an alien like any other. A traveller with a taste for culture, history, arts, nature, gastronomy, traditions and people. Do you feel identified? Who has not ever felt like an alien visiting unfamiliar places? What can you find in QuiQue Alien? QuiQue Alien seek and select those sites that we believe may be of interest to you. Once selected, we investigate the information available for making entries in which offer the keys to organize your visit, all in a convenient format to read and consult. We are concious that they are still not all of them, but we can assure that if they are those who are. Spain is full of wonderful places that we collect in our guide. On each entry of natural areas you can find the features of the place, pictures, routes, maps, eltiempo, accommodation, activities to do, places of interest nearby and recommendations. We bring in a single article all you need to visit a city; places to visit, history, food, events, accommodation, activities, tours, audio guides, map, eltiempo and recommendations of restaurants, bars and shops. The quantity and quality of museums in Spain is impressive, and the effort that industry professionals make to bring culture, truly commendable. Many of the museums are free or at nominal prices and most organizes fantastic temporary exhibitions, activities and workshops. Spain possesses an extraordinary monumental heritage that we’re presenting you on easy to read articles showing the most important features of each monument. Many different civilizations have left a rich mark of archeologic deposits all over Spain. From the Paleolitic to the Middle Age, in QuiQue Alien you can find all sorts of archeologic marks and fantastic interpretation centers. Also you can find QuiQue Alien visits to fascinating geological formations with related activities. Most of them are in fantastic natural environments. In our event calendar you can find temporary exhibitions, historical reenactments, festivals, fairs, food festivals, workshops……. Most of them are free or at nominal prices. We have affiliation agreements with major service providers like ATRAPALO, LA VIDA ES BELLA, PLAN B, CASA DEL LIBRO o MI RESERVA ONLINE. Through these suppliers we select the best offers in terms of their value, and we offer them in the place where they can be useful. Our guide to restaurants, bars and shops, where only those establishments of proven quality can be here. In this way, you save time and disappointments when choosing where to eat and what to buy.